For the last 9 years, I’ve been the Co-Executive producer of Growing A Greener World TV. Our national gardening series is on PBS and we tell the stories of people doing great things for the planet…through gardening and sustainable living. Well…we’re currently working on season 9. And as you can imagine, it can be pretty exciting to explore a whole new set of garden stories. 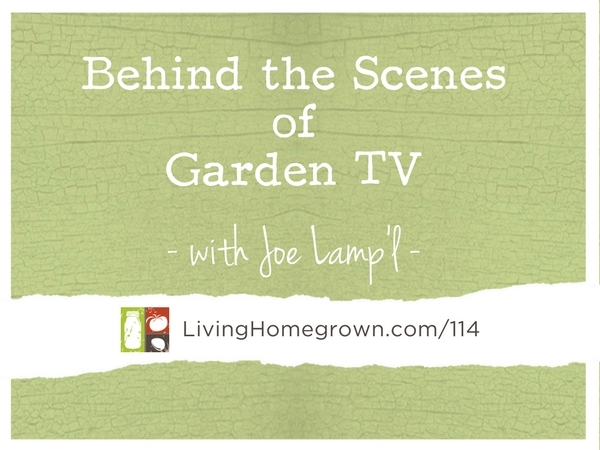 I thought it would be fun to share some behind-the-scenes info on how a garden TV show is put together and some of the garden and food stories we’ll be sharing in the coming months. To do that, I brought on the host and Exec Producer of the show Joe Lamp’l. Growing A Greener World was his vision. He dreamed it and put together the team who creates it. You see…Producing a television show is NOT easy. We all put in long hours and lots of travel. But I think you’ll get a kick out of hearing why we still love to do what we do…despite the hard work. And I even have a link to a video explaining what each of us actually does on the show. Check out the the Resources & Links below! As one of the country’s most recognized and trusted personalities in gardening and sustainability, Joe Lamp’l has a passion for living a greener life. 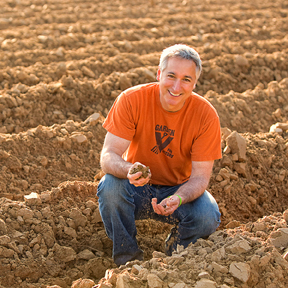 Joe is the creator, host and Executive producer of Growing a Greener World. Great podcast! Looks like 2018 is going to be a very good year for GGW!!! I swear I can listen to Joe talk all day. I can hear how much he loves what he does and when you have that kind of passion it just shines through. And of course I am still laughing over the bloopers. Too cute! Glad you liked it Renee!